I am raising money to be able to support offering some free services and opportunities for those that are unable to afford it. Having been through periods of trauma and hardship in my life, I realize how valuable it is for people to have ways to connect with others and to receive guidance or direction, and support to move into being self-sufficient and to regain peace of mind again. It is very hard to need assistance and to not be able to afford to get the help one needs. While I do charge for some of my work, I have started a study group based on The Code Journey book which is completely free for people to attend; although donations are also appreciated. In addition I am opening again to offering up free events, the first of which takes place in Rutland VT in Spring of 2019. In addition to these pieces I work with people in true need on a sliding scale basis with coaching services.The more donations that I receive for this campaign the more I can further my work to help people live compassionately and to have fulfilling lives. Many of the people I work with are giving back to others and supporting creating healthy and loving communities across the world. The Code Journey is a book that was created by a journey of love and compassion. It is a daily guidebook that allows people to work in natural flow and alignment to the currents of our world; and to maneuver daily life on Earth. It is full of insights and steps for coming into flow and to creating a life filled with joy, happiness, and love. It is an opportunity to not only transform one's own life but our entire world. 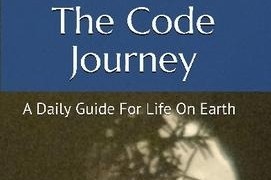 The Code Journey book is produced every year. It is normally released for purchase in the Fall around late September or early October for the upcoming year.